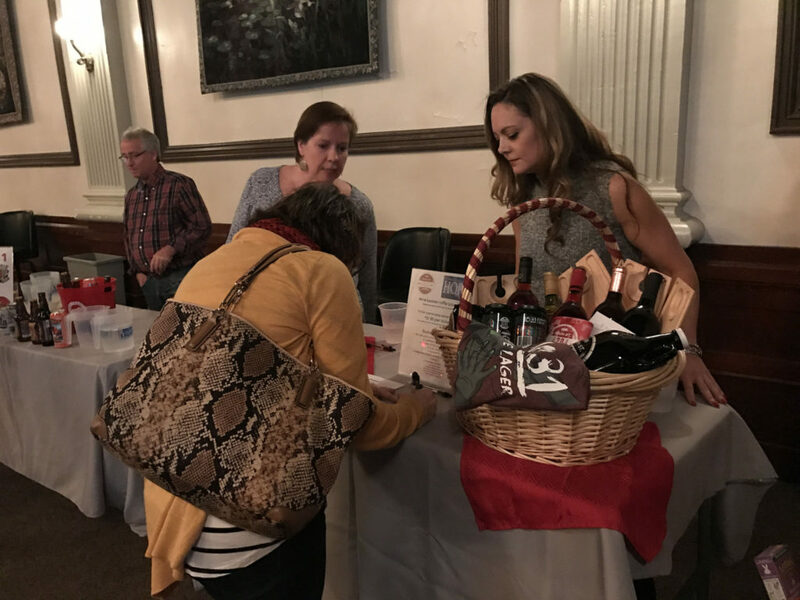 The Junior League of Greater Alton was honored to help support the Riverbend Head Start program by helping to fund the purchase of backpacks. The backpack and supplies pictured will go to low-income Head Start preschoolers who will start kindergarten in the fall of this year. In total, 96 backpacks filled with supplies and reading books will be distributed. JLGA has been a partner and supporter of the Riverbend Head Start program, and has helped to fund and promote programs such as Coats for Kids each winter. “When the request arrived to help with this much needed program, we were more than happy to assist,” said Sarah Crause, JLGA Community Outreach Chair. “Needs like these perfectly align with the mission of Junior League, and we are honored to help”. As stated in the request letter from Riverbend Head Start, the financial challenge of kindergarten for families living in or below the poverty level is extreme. 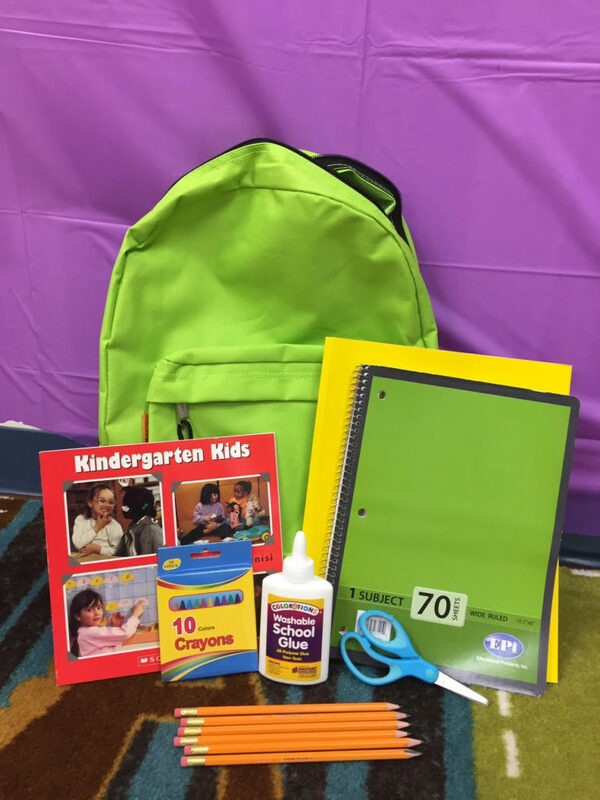 Providing the backpacks and supplies ensures these children are prepared and armed with what they will need to succeed on the first day of school. To learn more about programs and services provided by Riverbend Head Start visit www.riverbendfamilies.org. 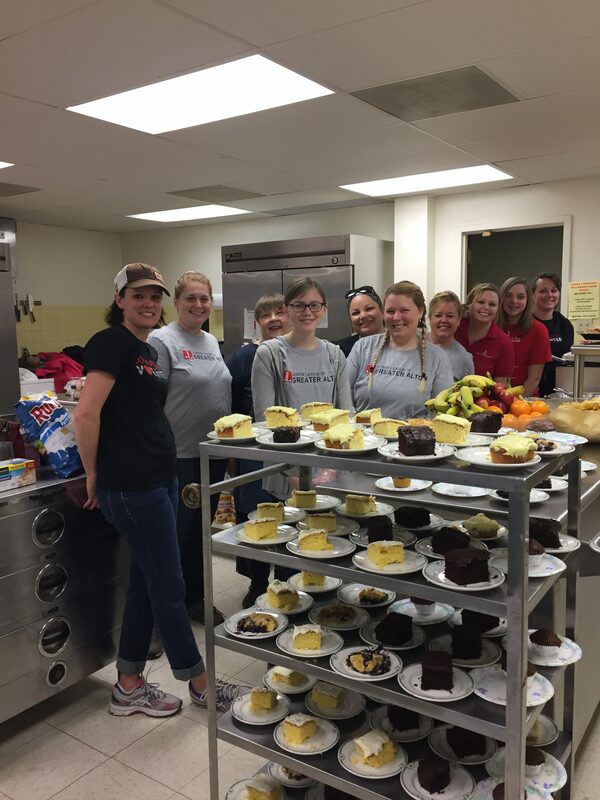 Members of the Junior League of Greater Alton were honored to supply lunch for Saturday Cafe on February 11, 2017. Saturday Cafe is held at the First Presbyterian Church in Alton (at the corner of 4th Street and Alby) on Saturdays from 11:30-12:30. During this time, those in need are offered lunch and are also supplied Good Neighbor Bags, including toiletries and essentials. 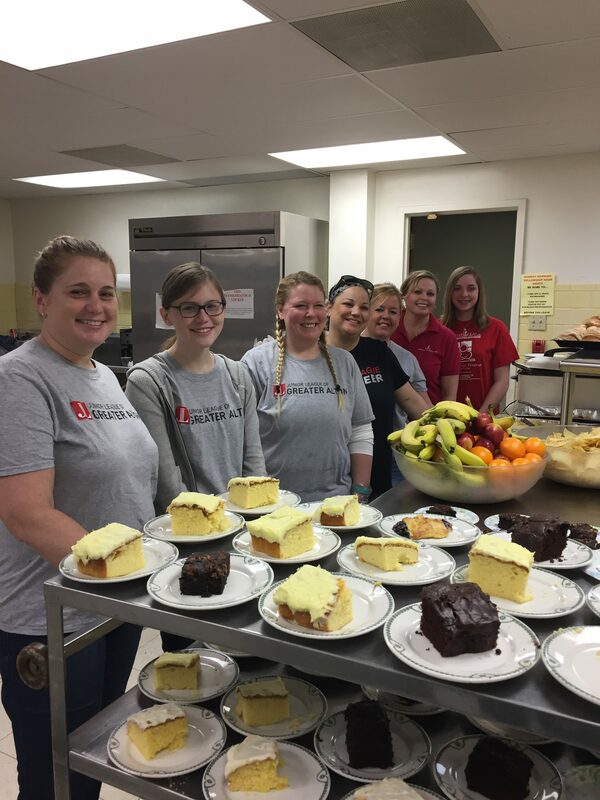 On the 11th, JLGA helped to serve over 80 meals. Fifty meals were served to individuals and families dining at the church, while 30 meals were carried-out. 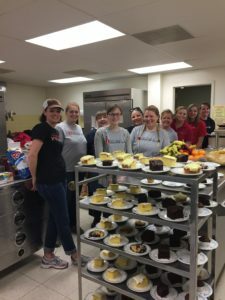 The church’s youth group started the Saturday Cafe years ago as a mission project, and it continues today. 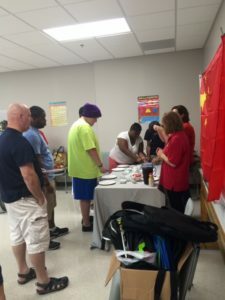 The event typically serves between 40-90 people, and allows for guests to eat at the church and enjoy fellowship and to take food to go as well. 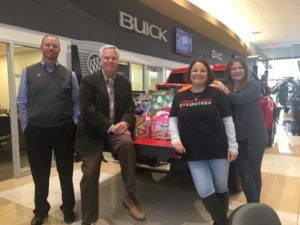 For the second year in a row, Junior League of Greater Alton, in partnership with Quality Buick GMC Cadillac hosted a toy drive on Saturday, December 10, 2016. The drive took place at the Quality dealership in Alton, IL . JLGA had 6 members volunteer to collect toys over a 5 hour window. 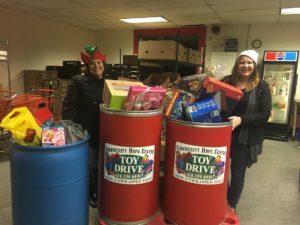 In that time, enough toys were collected to fill 5 large barrels at Hope Community Center. Toys continued to flow in even after the drive that following week which filled a whole additional barrel. Over 60 people came through to donate – a huge demonstration of the caring and generosity in our community! Quality did such a fantastic job hosting – they are really an amazing family business always supporting our community. I really appreciate Quality, JLGA members and our donors for coming together and giving so many much-needed toys. Such a small gesture of kindness makes all the difference in the world for a child at Christmas! I love Christmas time and the spirit of giving – it’s so fun and rewarding to see our community come together! 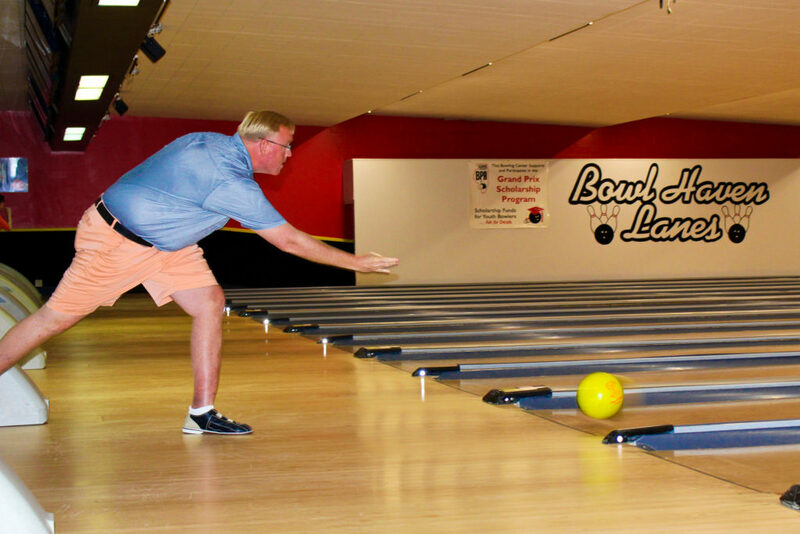 JLGA hopes to continue this tradition next year – so be sure to check our website and Facebook page for details. Help Us Stock Santa’s Sleigh! Join JLGA, in partnership with Quality Buick GMC Cadillac, on Saturday, December 10th as we collect new toys for children in need this holiday season. All donations will go to the Community Hope Center serving the Riverbend area. Toys will be collected at the Quality dealership, 1620 E Homer Adams Pkwy, Alton, IL, from 9am – 2pm Saturday. We look forward to seeing you there! 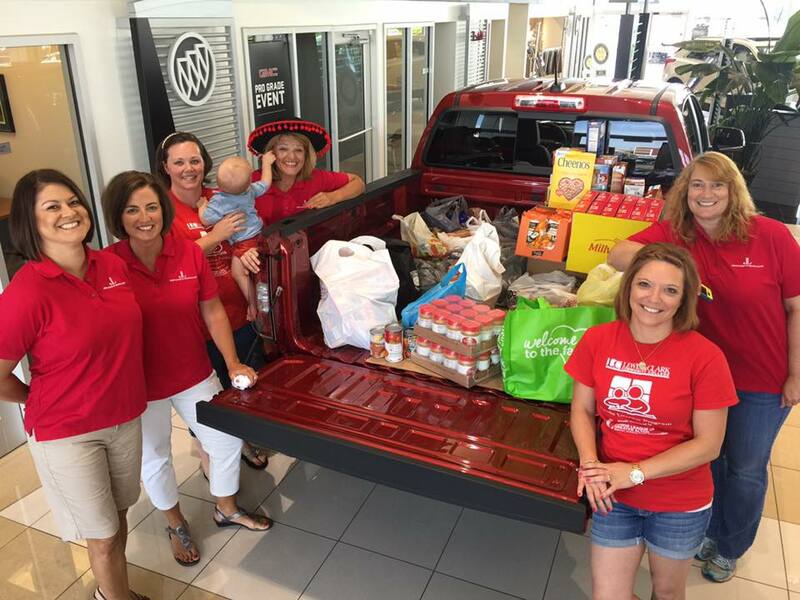 The Junior League of Greater Alton, in partnership with Quality GMC, held a Summer Food Drive, Saturday, June 25. 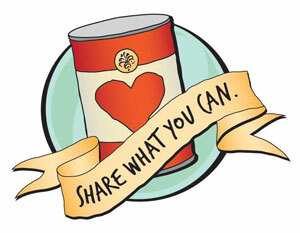 We are thrilled to announce that we donated over 450 non-perishable food items to the Salvation Army of Alton. As we know, the summer months are the hardest for food pantries. The Salvation Army was very grateful for the much needed donations. 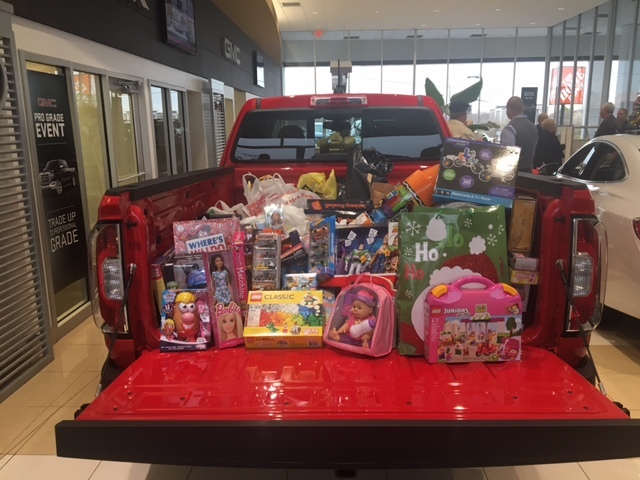 We thank everyone who donated and we thank our partner Quality GMC for hosting the drive! 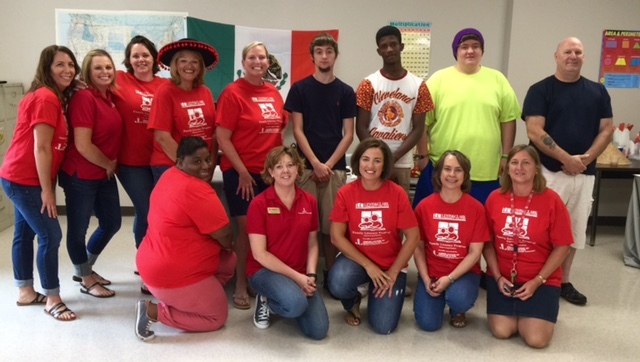 Members of the Junior League of Greater Alton joined a GED class at Lewis and Clark Community College, Tuesday, June 21, for a Cultural Food event to coincide with the students’ lesson. JLGA has chosen to work with L&C’s Adult Education department to help promote Family Literacy in the Greater Alton area. Learn more about the ongoing project and partnership at http://juniorleaguealton.org/community-impact/current-projects. Junior League of Greater Alton is honored to congratulate active member Tawnya Hooper and former member Stephanie Monroe. They have been chosen as YWCA 2016 Women of Distinction. The Alton YWCA Women of Distinction event is designed to honor women who, through their boundless commitment to the community through their service to others and through their compassionate leadership, help improve the quality of life for everyone in their communities. The women honored at this event represent the diversity of women’s interests, talents and achievements. Since 1991, 241 area women of all ages and from all walks of life have been recognized as Women of Distinction. Both Tawnya and Stephanie embody the spirit of community, giving and service. JLGA is honored to have these extraordinary women as part of our League family, and sincerely congratulate them for their achievements!